Gwenni Morgan is not quite like any other girl in her small Welsh town in the 1950’s. Aged 12, she is inquisitive, bookish and full of spirit. She can also fly in her sleep and loves playing detective. So when a neighbour mysteriously vanishes and no one seems to be asking the right questions, Gwenni decides to conduct her own investigation to try and find out what has happened to him. She begins questioning the villagers and records everything she sees and hears: but are her deductions correct? What is the real truth? And what will be the consequences of finding out? Whilst this is not usually the type of book I would choose to read, I did find it held a strange kind of appeal after I read the blurb on the cover. I quickly realised at the beginning of the book that the author, Mari Strachan has managed to enter the mindset of a 12 year old girl in a very convincing manner. This story is told in the first person and young Gwenni manages to enchant the reader from the first page, with her thoughts and observations. There is also an almost magical feel to the story at the start as Gwenni reveals how she flies in her sleep, but this of course is dismissed by her mother who tells her she mustn’t say such things. I felt myself feeling sorry for Gwenni as it appeared her mother didn’t have much time for her. Her family life she shares with her parents and sister Bethan, seems quite uneventful and without excitement. Gwenni appears much closer to her father than her mother, but seems reasonably happy and accepting of how things are. In fact, I felt that Gwenni at times comes across as younger than the 12 year old she is meant to be. A fact which maybe shows that 12 year olds in the 1950’s were not as ‘grown up’ as they are today! Gwenni is still very much a child with a wild and vivid imagination. The story unfolds very slowly and what the author has done well here is contrast the perspectives of adults with a child like Gwennie. How differently things a viewed through the eyes of a child in comparison to those of an adult. It becomes clear to the reader early on, that all is not as it seems with Gwennie’s family and little hints are given throughout the book. You begin to realise that at some point Gwennie is going to have to grow up quicker than she anticipated. Whilst this is cleverly written and overall is quite a beautiful and often touching piece of writing, the lack of character development let it down for me. We are introduced to many characters in this book apart from Gwenni, but don’t get to know enough about them to be able to enjoy them, or appreciate the story fully. Whilst the characters are believable, I just felt the reader should be told a little more about them. It would have made this book a more interesting read for me. One or two of the characters form an integral part of this story, yet because we do not get to know enough about them, it made it difficult to identify with them. The only real impression we get about Gwenni’s immediate family is that they make endless cups of tea! There are numerous references to making large pots of tea, which I found became irritating. Gwenni’s father seems a kindly and easy going man, whilst her mother appears hard and unlikable. For all it is clear she has problems, I found I had no sympathy for her at all. Gwenni’s sister Bethan, we don’t really get to know at all and this made the ending of the book harder to comprehend or appreciate. Gwenni displays confusion and bewilderment as she approaches her teen years. Her friend Alwenna, is becoming interested in boys and not wanting to play games anymore and Gwenni cannot figure out why. She has a childlike innocence and naivety that is both touching and endearing. This ensures we figure out what is going on around her while she is still putting the pieces together. Gwenni’s naivety means she is unable to comprehend why adults keep secrets and sometimes tell lies to prevent the truth from being revealed. You realise that at some point Gwenni is going to have to grow up quickly and leave the magical and enchanting world that seems to exist only in her mind. Reality and the truth for Gwenni is a much harsher world. I am unsure who exactly the target audience for this book should be. It has many qualities a 12 year old and teenager would enjoy, but also has an adult theme running through it. Overall I can’t say I enjoyed the book, but can appreciate how well the author gets into the mind of a 12 year old and Mari Strachan deserves credit for this. However, whilst the beginning appeared quite enchanting and the end interesting enough, the middle part and indeed most of this book did not offer much to hold my interest. I wish it had been more ambitious. For all this story is set in a Welsh village and contains some Welsh dialect, you don’t get any real sense of the village itself or the surrounding Welsh countryside. There was nothing to really grip me when reading this book and I felt I was plodding on reading it but not once becoming fully absorbed in the story. Indeed I found it quite easy to pick up and put down. I was left with a feeling of disappointment as this book seems to offer so much scope at the beginning for a decent read, but was let down by underdeveloped characters and a drawn-out story which does little to hold your interest. Published by Canongate Books (May 2010). 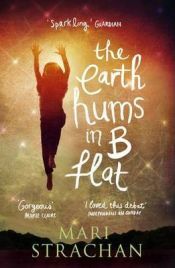 No Comments on "The Earth Hums in B Flat"